Plain and simple, people love cars. New cars, fast cars, classic cars, vintage cars and luxury cars. Over the years, the desire and passion to own one continues to soar. Are you looking for that special classic car to own? Then consider 1958 Maserati 3500 GT or 1969 Lamborghini Islero 400 GT S.
We’d like to share two incredible cars any car collector would love to own. First is an incredible 1958 Maserati 3500 GT. Second is a stunning 1969 Lamborghini Islero 400 GT S.
One of the very early manufactured Maserati 3500 GT. 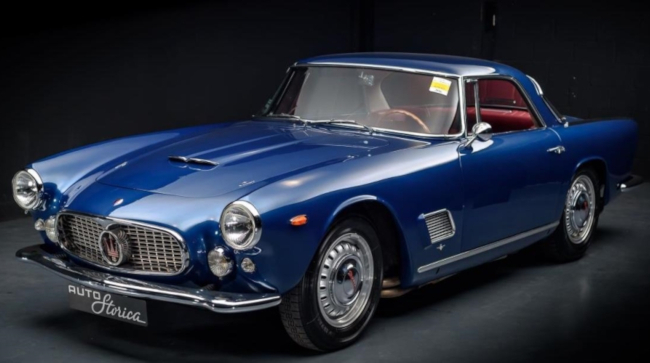 Probably the most interesting Maserati 3500 GT actually available on the market. Stunning color combination with Bleu Ischia exterior and Rosso Connolly leather interior. This car is the one shown by Maserati in its official 1958 official sales brochure. The first owner was the famous Italian singer Renato Rascel (Arrivaderci Roma). Nut and bolt restored in Italy by Carrozeria Manfredi (2007) respecting most of the original elements still in great condition. Restoration is fully documented with pictures and all the original invoices. This Maserati comes with its owner’s manual, parts list books and advertising documents. The car is Maserati´s Certificated, full matching numbers and matching color. The car is registered in France and can be inspected and drive tested in Barcelona’s facilities. This very rare “Islero S” is an incredible find. Such a fascinating and rare opportunity to acquire a real Concours condition “Keys in hand” legendary Italian icon. Also, it’s finished in its beautiful “Celeste Blue metalizzato”. The complete bare metal restoration was started in France in “Lecoq-Paris”. There the paint job was also done. Next, the car proceeded with a complete Premium restauration at the highest quality standards. Staff is at your complete disposal. Therefore, you can inspect all of the details of the car’s restoration. Take your time and view it in the workshops or go out for a complete drive test. The Life of Luxury partners with car resellers and restoration companies around the world. Let us know if we can help you find that perfect car. 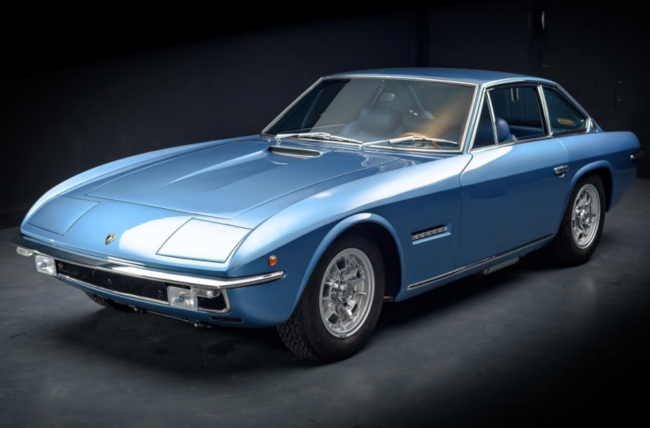 Would like to own a 1969 Lamborghini Islero 400 GT S? How about the 1958 Maserati 3500 GT? So would we! Be sure to stop by soon and follow our luxury blog for the latest car industry news.